Magazine has been processed to improve gas sealing and reliability. Pre-installed CNC Steel Firing Pin to improve reliability. Pre-installed Recoil Kit Aluminum Adapter to increase durability. Pre-installed 6.03mm Stainless Steel Precision Inner Barrel. Fine-tuned internal to facilitate smooth firing cycle. Quality checked by professional gunsmith. 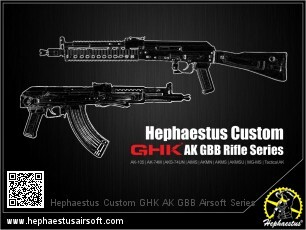 Gen.2 is upgraded with A Plus Airsoft Hop-Up System for GHK AK GBB. 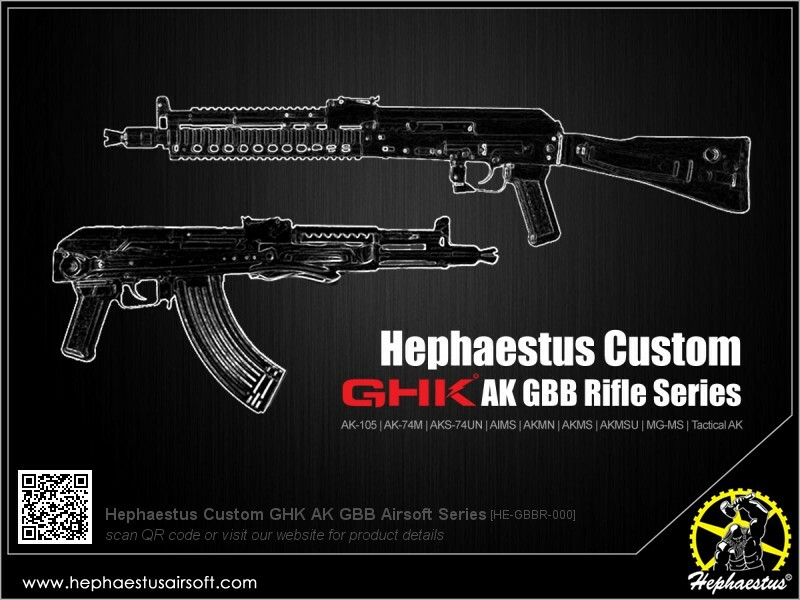 Build-to-order and limited release only, for details and ordering please contact WGC Shop or Sniper Airsoft Supply.